Death, taxes and paying through the nose for a full-service SEO program. The three certainties in life for an SEO Specialist. There is no shortage of “Free SEO Tools” promising big results with no expense. But do they work? 1. Paid SEO Tools that provide real insight, tracking, competitor analytics and the ability to digest, interpret and use the results to further your SEO efforts. 2. Free Trials of Paid SEO Tools that allow limited research, a little tracking and not much else. 3. Free SEO Tools that aren’t worth the server they’re hosted on. Seriously. There’s countless Free SEO Tools that work on EXTREMELY outdated data to provide a rough estimate of how you can improve your SEO. 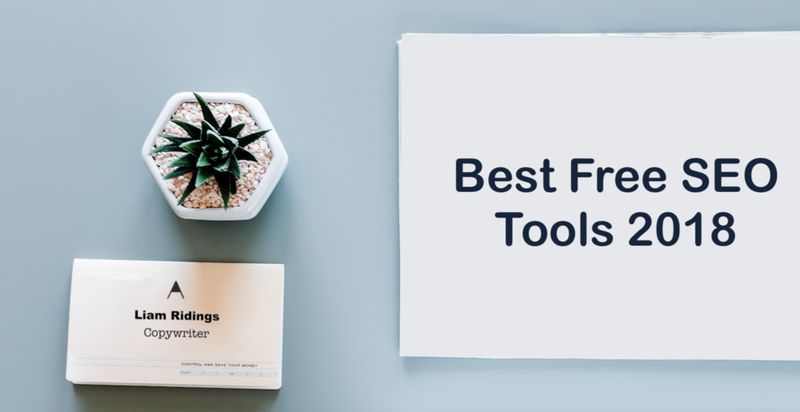 Today, I’m going to show you the white-whale of SEO Tools — Free SEO Tools that add real value to your SEO efforts without costing you a cent. Yes, they’re rare, but they do exist. I have a love-hate relationship with Google AdWords Keyword Planner. I love Google AdWords Keyword Planner because provides the most up-to-date keyword information for free. Conversely, I hate it because it’s far too hard to access, not designed for large scale keyword research and too clunky. Clunkyness aside, the Google Keyword Planner is arguably the best free SEO Tool anywhere on the web. Google AdWords Keyword Planner provides real insight on monthly search volume, keyword competition and provides phrase-match, broad-match and exact-match keyword information that is otherwise reserved for full service SEO programs. Love it or hate it, if you’re going to get good at SEO, you’re going to be spending a lot of time doing keyword research. If you don’t have the MozBar extension for Chrome or Firefox, download it now. MozBar — an extension of the full-service SEO Program Moz — is completely free and, in my opinion, the best SERP overlay on the market. Easily view the Page Authority, Domain Authority and full link analysis of any website right from the SERP. MozBar also highlights follow and nofollow links (in different colours) so that you can easily identify where to focus your link building efforts. Google Search Console is a must-have in your SEO artillery. Yes, I will concede, it doesn’t have the advanced capabilities of paid SEO tools — but it’s great for tracking your overall site performance. Google Search Console is the easiest way to track site health, new links, broken links, 404s and index status. The ‘Search Analytics’ feature also makes it easy to track your most popular content, keyword rankings and get a clear picture of whether your site’s organic performance is heading in the right direction. Google Search Console allows you to filter your content by clicks, impressions, CTR (click through rate) or position. Want to know where your traffic is coming from? The “devices” and “search type” filter allows you to monitor how people are accessing and interacting with your content. Looking for a little keyword inspiration? Ubersuggest provides main and longtail keyword suggestions with insight on Volume, CPC, Keyword Difficulty, Competition and seasonal trends for each keyword. The brainchild of SEO pioneer Neil Patel, Ubersuggest provides a genuine alternative to Google Adwords Keyword Planner. Just like Google Keyword Planner and paid SEO services, once you’ve finished your research, you can export keyword lists into a CSV. It’s been almost three years since Google first announced that mobile and tablet searches exceeded desktop queries. In 2017, Search Engine Land reported that 57% of traffic now comes from smartphones and tablets. If you’re not designing a website that is mobile friendly, you are neglecting almost 2/3 of your potential visitors. The Google Mobile Friendly Test is exactly what the name suggests. Type in your domain and Google will quickly determine whether or not your site is mobile friendly. If it is, Great! If not, it’s time to start making some changes. From an SEO and user experience perspective, your site needs to be mobile-friendly. Mobile traffic is only going to keep growing. Reddit is the largest online community in the world. Generating almost 2billion visitors per month as of 2018, Reddit boasts a wealth of keyword data. Keyworddit is a keyword research tool that extracts data directly from Reddit. Unlike Google Keyword Planner and Ubersuggest, Keyworddit generates keyword suggestions based on phrases from popular subreddits. Keyworddit allows you to view the context of how the keyword is being used so that you know exactly how people are interacting with the keyword. Check My Links is essential for SEO specialists embarking on a broken link building campaign. Check My Links is a Google Chrome extension that identifies broken links on any webpage. Simply activate the extension on the website that you are browsing and it will analyse all of the links on the page and highlight any broken links. Got an article that could replace the broken link? Shoot off an email to the webmaster and let them know. SEO is dynamic. Nothing is ever where you left it and there is no exact science that guarantees the best result. If there was, SEO specialists would be redundant. Google is constantly changing its algorithm, and, unlike other aspects of digital marketing, it doesn’t spell out exactly what it wants from an SEO perspective. If you’re going to get serious about SEO, these tools will provide you with a great starting point for your research. Paid SEO services do still provide real value, but if you’re just starting out, there are enough free SEO tools in this list to get you up to speed. Looking for an SEO Specialist in Sydney, Melbourne, Brisbane, Perth or Adelaide who can help your business? Get in touch with Liam Ridings.